Scroll down to find out how you can protect students’ right to learn. to an education free from discrimination and harassment. Title VI of the Civil Rights Act of 1964 protects everyone participating in programs that receive federal funding from discrimination based on their race, color, or national origin. This protection extends to all federally-financed programs, including both public and non-public schools, and is therefore under the jurisdiction of the U.S. Department of Education and is enforced by the Office for Civil Rights. COMPLIANCE WITH TITLE VI IS A LEGAL OBLIGATION, AND STUDENTS AND CAREGIVERS SHOULD EXPECT COMPLIANCE FROM THEIR SCHOOLS. Save Your VI is a campaign to raise awareness of students’ Title VI rights. The people behind Save Your VI are a group of primarily mothers of color in Northern California who have personal experience with discrimination in their children’s schools and with the Title VI grievance process. During this journey we have found that most students, parents, and educators that we meet don’t know that schools are legally obligated to redress racial discrimination in students’ education, let alone that the federal office that enforces Title VI is under threat of elimination. We’ve created this website as a guide and a resource for students, their caregivers, and school and school district employees. For students, especially those who have experienced or witnessed racial or ethnic discrimination in their schools, we recommend the Student Toolkit. Students can play an active role in protecting their own civil rights, and the Student Toolkit explains how. For parents and educators we recommend reading everything on the website, even the links. If you want to learn about grievance processes or take action right away, check out the Parent Toolkit. If you want to learn about the data and recommended courses of action for schools, check out the Educator Toolkit. If you believe your school or school district is violating students’ Title VI rights, the most important thing you can do is document every interaction with the school in writing and make copies. In 2016, the OCR received 16,720 complaints, a 61% increase over the previous year’s complaints. The number of complaints the OCR receives has increased 188% over the last ten years, and harassment complaints based on race, color, and national origin have increased 17% since 2011. There has not been a commensurate increase in staff, however. At the end of 2016, the OCR’s staff was actually 11% below it’s level ten years ago, even though complaint volume has tripled in that span. The process for filing a complaint with the OCR is detailed in the Parent Toolkit on this website. Discrimination against students that violates their Title VI rights can come in many forms. Regardless of what forms it takes, discrimination has measurable negative effects on students’ education and life outcomes. Click the boxes below to learn more about how discrimination happens in school. The CDC also defines bullying as a phenomenon that occurs between children. Bullying is considered one of the more harmful forms of youth violence because it is repeated and the power imbalance favors the bully. Bullying can occur at school and school events, traveling to and from school, inside a youth’s neighborhood, or on the Internet.2 This means that bullying can occur nearly anywhere at any time. Bullying is often witnessed, and because of this, the reaction to bullying by both other youth as well as adults can discourage or encourage bullying behavior. Students who are viewed as “different” from their peers are at particular risk for bullying, and this includes racial and ethnic difference.5 This is why, particularly in the current political climate, with racial bullying incidents skyrocketing in schools across the country,6 it is absolutely necessary for students’ peers, educators, and caregivers to proactively offer support for and stand by students of color. Read more about the current political climate’s effect on students and Title VI in the What’s At Risk section. The main effect of harassment is that it creates a hostile school climate which disturbs students’ ability to learn and participate in educational opportunities. That is the main reason why racist harassment is illegal in schools under Title VI – it prevents students from fully and equitably engaging in their educations. When a student feels uncomfortable or unable to focus at school for any reason related to how they are treated there based on their race, color, or national origin, their Title VI rights are being violated. Check out what else schools and school districts are responsible for in the resources in the Educator’s Toolkit. Bullying and harassment are some of the more direct forms of discrimination that students can experience. Title VI also covers less overt forms of discrimination that are reflected in disparate treatment of students by race. One of the most harmful forms of discrimination a school can engage in is in unnecessarily harsh, unequal applications of school discipline. Black preschool children are 3.6 times as likely to receive one or more out-of-school suspensions as white preschool children. Black K-12 students are 3.8 times as likely to receive one or more out-of-school suspensions as white students. Black girls are suspended at higher rates (12%) than girls of any other race or ethnicity. Black students are 1.9 times as likely to be expelled from school without educational services as white students. Black students are 2.2 times as likely to receive a referral to law enforcement or be subject to a school-related arrest as white students. More than one out of four boys of color with disabilities, and nearly one in five girls of color with disabilities, receives an out-of-school suspension. Black students represent 19% of students with disabilities, but 36% of these students who are restrained at school through the use of a mechanical device or equipment designed to restrict their freedom of movement. The data is clear: the discriminatory and unequal application of exclusionary discipline harms students, schools, and communities. It is up to us, then – members of these schools and communities – to hold each other accountable. The U.S. Government Accountability Office (GAO) released a study in April 2016 examining the links between socioeconomic status, race, and educational outcomes.1 Black and Latinx students, who continue to experience poverty levels two to three times higher than white students, attend schools that mirror the racial and socioeconomic status of their neighborhoods. In other words, students of color are still attending schools that are racially and economically segregated. The discrimination in resource allocation in funding is devastating for the educational outcomes of students of color. They are more likely to attend segregated, poorly-funded schools. They’re more likely to have fewer and poorer-quality supplies, dilapidated and out-of-date facilities, and inexperienced, underpaid, and unqualified teachers. And what is all the more galling is that one of the reasons these conditions exist is because at the local level, some school districts withhold state and local funding from schools that serve disadvantaged students. This kind of institutional discrimination is more difficult to address, but nonetheless it is a violation of the civil rights of students of color. The combination of the other forms of discrimination we’ve discussed – bullying, harassment, exclusionary discipline, and a lack of resources – serves to put students of color at an automatic disadvantage to white students from pre-school onwards. These opportunity gaps continue to increas as students prepare for college and higher education. These opportunity gaps have lifelong consequences. School completion levels are determinants in economic mobility and class status, which in turn influence things like access to healthcare, entry into the justice system, and the age at which people have children. Racial discrimination at the school level is the entry point into a vicious cycle that traps people of color into fewer options, less mobility, and worse outcomes – and this entry point starts in pre-school. Discrimination can come from other students, but also teachers, administration, staff, or school resource officers (SROs). Students can be discriminated against at any age. Discrimination against students based on their religion can be considered a Title VI violation when their religion relates to their ethnic heritage. A school violates a student’s Title VI rights when it fails to appropriately remedy a hostile climate or inequity in treatment due to race, color, or national origin. You neither need to be the victim, nor their parent or legal guardian in order to file a Title VI complaint with the Office for Civil Rights on their behalf. The 2016 presidential election has seen a marked increase in reported racist incidents across the country, many of which have occurred in public schools. 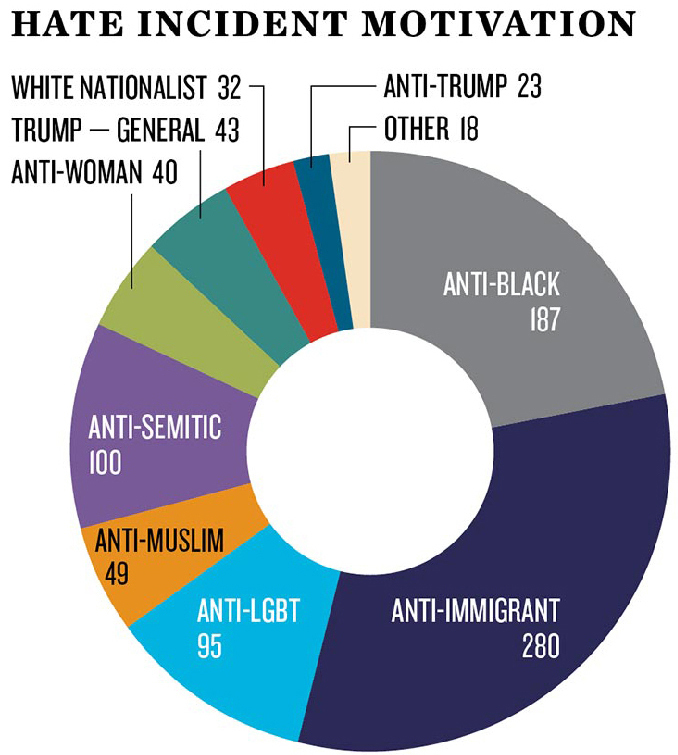 Buzzfeed recently released an analysis of ProPublica’s Documenting Hate project, in which 149 racial bullying incidents that can be linked to Donald Trump were reported between early October and late May. This is related to what the Southern Poverty Law Center (SPLC) calls “The Trump Effect,” a dramatic jump in hate violence and incidents of harassment and intimidation around the country surrounding Donald Trump’s campaign and election. 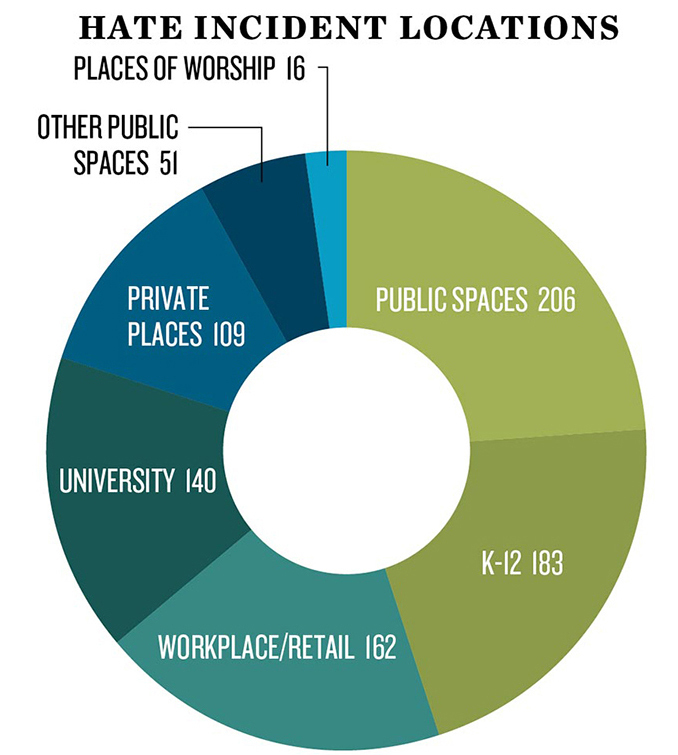 The largest number of incidents that the SPLC studied were reported in K-12 schools and on university campuses. According to the SPLC’s Teaching Tolerance survey of over 10,000 educators, 90% of respondents said that the election had impacted their school’s climate negatively. 80% reported heightened anxiety among students worried for themselves or their families. And as the SPLC points out, the incidents that they have studied are only a fraction of the estimated 260,000 reported and unreported hate crimes that a 2013 government study estimated occur annually. In addition to the jump in racist bullying and harassment, the Trump administration is actively undermining the protections guaranteed to students under federal law. In their proposed 2018 budget, Education Secretary Betsy DeVos and Trump intend to cut the OCR’s staff by 8%. This would change the caseload to 42 open civil rights investigations per employee. DeVos, in a Congressional budget hearing, claimed that discrimination in schools that receive federal funding is not her responsibility, a position that is not only heartless for a supposed educator, but also factually and legally incorrect. DeVos has instructed the Office for Civil Rights to scale back investigations into civil rights abuses. Attorney General Jeff Sessions’ Department of Justice, which oversees the Office for Civil rights, is easing off of the use of consent decrees, the most commonly used legal tool for the federal government to remediate civil rights violations. Without consent decrees, remediation wouldn’t require court oversight. The Trump administration has proven itself a force multiplier for the damage already caused by racial harassment and discrimination in schools. Not only are they undermining educational equity and federal law, Trump’s own name and campaign slogans have become standards for racist bullying. In order to protect ourselves and our students from the destructive consequences of racism in education that already exist and are only exacerbated by this administration, we must all arm ourselves with our hard-won Title VI civil rights and fight back. Whether you’re a student, a concerned adult, or an educator, you can help make our schools safe places to learn. Save Your VI has developed these resource toolkits to help students, trusted adults, and school employees help themselves. HARASSMENT IS NOT YOUR FAULT. You have a protected right to feel safe at school. It is the right of all students to be free from discrimination from others—other kids or adults—at school. If you are harassed at school, or if you see someone being harassed, follow the steps below. Always make a copy (or write it twice). Tell someone the first time it happens. Click here for a printable version of these instructions. If you are ready to take action on behalf of a student who has been discriminated against, then prepare yourself with these resources. 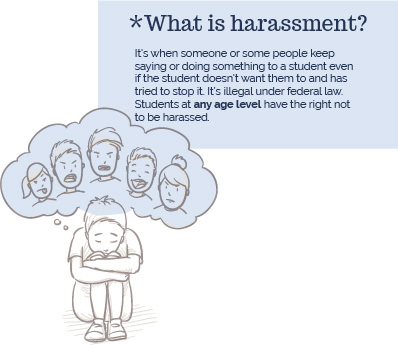 What to Do if a Student is Harassed is a one-page info sheet for students and their advocates that can be printed and distributed at your school’s administrative office or school district office. Addressing Racial Discrimination: Steps to Follow With Your School is a step-by-step guide to prepare yourself to use your school’s official complaint processes. Why You Need an Advocate is a letter written in support of parents, and to encourage parents to seek out advocates as they navigate the official grievance process. How to File a Complaint With OCR is an info sheet to inform you of the process for filing a complaint with the federal government. Use these tools to acquaint yourself with the process of filing a complaint. Remedying racial harassment for a student in school can be a taxing and exhausting process. Some of the preparation you may require is to get yourself emotionally prepared to be an advocate. If filing a complaint is too difficult for you, or if it will put you in a vulnerable position, you don’t have to do it. At all times, do what’s best for you and the students order to stay safe. #SaveYourVI needs your help too. We would like to gather data about schools, school districts, and colleges across the country, and their compliance with Title VI. In order to do that, we need your help. There are over 19,000 public schools alone in the United States, so we can’t look up information about every one of them. We’re asking you to send us information about your school and school district. We’ll use this data to analyze how many schools and districts are in basic minimum compliance with Title VI, and to make school, district, and state grievance policies easily accessible to parents all over the country. Click the button below and fill out the form to provide us with data about your schools. 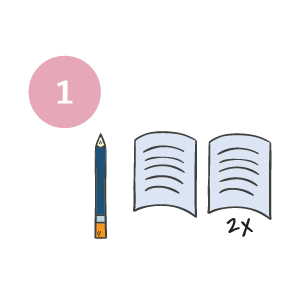 The Educator Toolkit links to information gathered and analyzed by the Department of Education (ED), the Office for Civil Rights (OCR), the Civil Rights Data Collection (CRDC), the Department of Justice (DOJ), and the Department of Health and Human Services (HHS). These federal agencies have gathered data at the national level, and the documents we’ve linked to use their data findings in relation to pertinent federal law to recommend courses of action for school administrations. 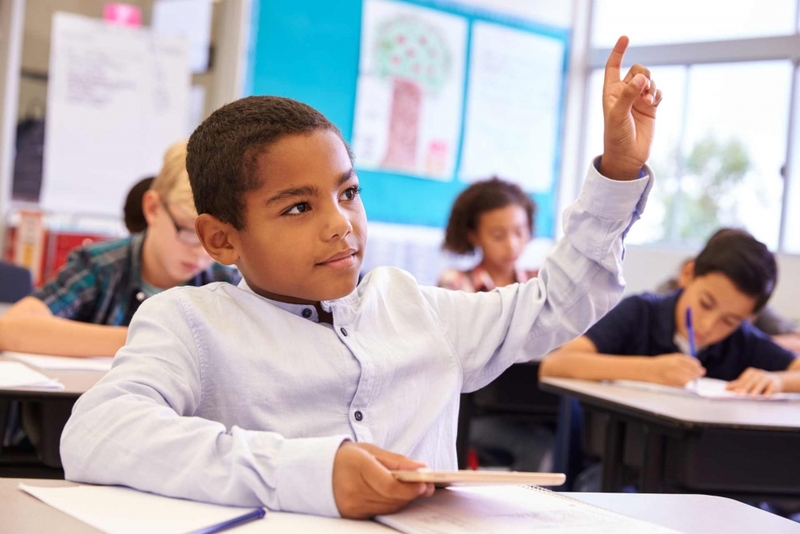 These recommendations provide both the best educational outcomes for students, as well as the best legal outcomes for schools and school districts. Beneath the guidance documents is a link to the CRDC’s database. With it, educators can look up the CRDC’s survey data from their schools and districts. Additionally, we’ve included a survey that educators can use to get a better understanding of the climate in their schools, which was adapted from the Southern Poverty Law Center’s Teaching Tolerance survey, as well as a printable PDF guide about how educators can handle harassment in school. Look at civil rights data for your school or school district. We Think All Students Should Feel Welcome & Safe at School. Betsy DeVos Doesn’t Agree.